TeamSpeak servers are capable of running on Linux, FreeBSD, OS X, and Windows. The server can be administered through either a telnet command prompt or a WebUI via a browser. The default UDP port is 9987. TeamSpeak client software is available for all modern desktop and mobile operating systems, including Android and iOS. By default, TeamSpeak supports a maximum of 32 simultaneous user slots, and with a license upgrade you can run increase that number to 512 slots with the posibility of running multiple virtual server instances. Older versions of TeamSpeak will support fewer simultaneous users. TeamSpeak will begin to support IPv6 in the upcoming beta version, scheduled to be released in 2015. We will post an update with additional information about IPv6 as soon as we have access to the beta client that includes it. Below is information you may find useful if you're considering running your own TeamSpeak server. The trick to selecting an optimal location for a hosting company is to choose one in geographic proximity to the majority of clients in your swarm, to minimize connection lag and maximize quality. No matter how fast the host's bandwidth is, a U.S. based server may not deliver the best user experience for players who are located in Taiwan, who in our experience are best served by hosts in Asian cities with robust broadband connections, such as Tokyo, Seoul or Singapore. But what if your clan includes clients on different continents, say in the United States and Europe? In this scenario, a good solution is to choose a provider on the East Coast of the United States. Choosing a host in your geographic area also means you will probably be able to get live phone support in your language. Support is an important thing to consider, because TeamSpeak will only provide support for their client and not help you with server issues. Many dedicated server hosts and cloud services providers offer TeamSpeak functionality with their servers. This is often because the infrastructure for supporting enterprise cloud services and game server hosting is largely similar. That doesn't mean that all these companies are authorized to sell or rent TeamSpeak servers. TeamSpeak strongly prefers that you buy or rent your server from an Authorized TeamSpeak Hosting Provier (ATHP). 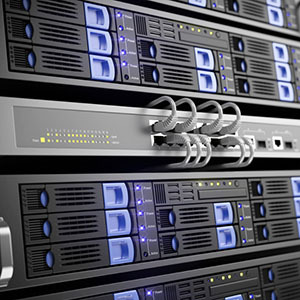 Are you considering setting up your own server instead of renting one? If so, be prepared for a technical challenge. You're going to spend time configuring firewalls, enabling port forwarding, fighting off hackers, and everything else that comes with hosting your own server. Another major concern is uptime. A hosting company will make sure that your services are up 24 hours a day, whereas with one person's computer acting as a server, there is no such guarantee, and besides you are not likely to be available to service your computer 24 hours a day for obvious reasons. Also, with a residential broadband connection, you risk running out of bandwidth, as most connections are typically capped, whereas with a commercially rented server, there is usually no worrying about bandwidth allocations. Finally, to maintain communication among your clan or swarm members, you need a static IP address, which many residential ISPs are unable to provide, and this is another reason you might want to choose to rent your server from a hosting company.